New Delhi, Jun 25 (PTI) RBI governors share bittersweet relationship with the government but rarely has any central banker contemplated leaving his job twice, as did Y Venugopal Reddy, who wanted to quit soon after P Chidambaram became finance minister in 2004 and then before his tenure ended. Reddy, who was Reserve Bank governor from September 2003 to September 2008, shared an uncomfortable relationship with Chidambaram and had to even offer an “unconditional apology” to the minister after the then Prime Minister Manmohan Singh tried to sort things out between them. “His (Chidambaram’s) image as a reformer pushing for double-digit growth was, in his view, being dented by my caution to the extent of resisting implementation of some of his policies,” Reddy wrote. The minister even cancelled a foreign tour because he could not face investors with nothing to report on reform. The former bureaucrat went on to write that in early 2008 he got a call from the Prime Minister’s Office, requiring him to urgently travel to Delhi to meet Manmohan Singh on a Sunday. Reddy says, he told the prime minister that he need not bother about this problem and that he will take care of his relation with the minister. While Singh thanked him “profusely”, Reddy writes that he drove to Chidambaram’s residence and “expressed my unconditional apology to him and conveyed that I would keep in mind the issue of being supportive” to government policies. But this rapprochement did not stop him from refusing to take a second term offered by the prime minister. 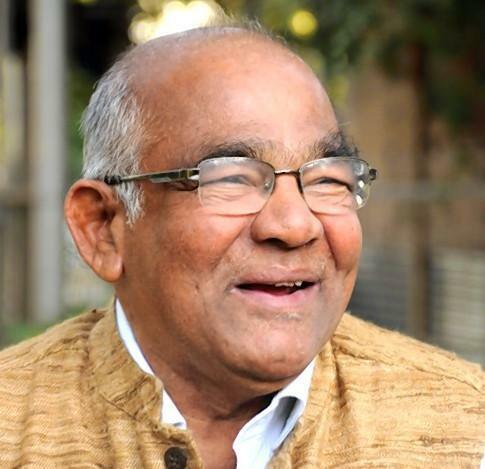 In 2007 – one full year before his five-year term was to end, Reddy offered his candidature for the position of chairman, 13th Finance Commission, but the minister would not release him. Reddy writes that he was opposed to NDA government’s decision of opening banking system to foreign ownership, in particular, to enable foreign banks to acquire Indian banks. When UPA came to power in May 2004, Chidambaram was appointed Finance Minister and he was in favour of continuity in the policy and did not particularly like Reddy’s speech at a public function where he talked of evaluating foreign banks on a case-by-case basis. “Before the court, he is known to make his arguments systematically on an almost equal footing with the judge. With me, he usually moved from formal to informal, business-like to joking. In this case, he spoke with unusual gravity. It was very clear that this issue was of great importance,” he wrote. The former governor says he narrated the exchange between him and Chidambaram to Rakesh Mohan, Secretary, Economic Affairs. “‘Rakesh,’ I told him, ‘it is better I leave this job. I believe that the issue is very critical to our national interest. I think opening up of foreign banks should not be done at this stage at all. Still, if the government feels that this has to be done, it has to be done. But I will not be able to put my heart in it’,” he wrote. Reddy went on to state that since he did not make his opposition secret, the government would not have confidence in him. “So, better I quietly leave the job,” he said. But Rakesh Mohan played a critical role in resolving the issue. And Chidambaram called him a few days later. “‘Venu, we have considered your views,’ he said. ‘We are keen to honour the commitments made on foreign banks by the earlier government. We will not go back on them. We would like to make a formal policy statement to that effect. But I know you have your concerns and you may propose a roadmap that will take care of them. We should announce our policy commitment through a clear-cut, time-bound roadmap. Step by step… send us a draft, as soon as possible’,” he wrote. Reddy says he was relieved and stayed on the job. who wanted to quit soon after P Chidambaram became finance minister in 2004 and then before his tenure ended.